The best pools to swim are certainly indoor olympic pools. If you are visiting Michigan be sure you know the rules and regulation for swimming as they may not be the same as in your residence town. Looking for Chlorine Free Pools in Michigan? Lots of of them belong to gyms or sport centers which also offer lessons. Thanks to some new Pools submitted every day, Swimia.com is growing daily the number of stored pools. Please don't hesitate to get in touch with us if you obtain any inaccurate or incomplete information. Are you on holiday and wish to maintain fit and healthful? 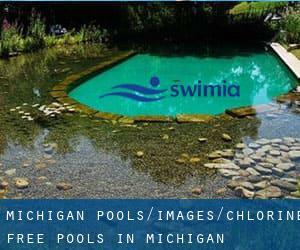 Swimia.com offers you the quick and quickest approach to find pool near Michigan. Please check the nearest Chlorine Free Pools in Michigan or Contact us to ADD IT. It is free! It's difficult to visit Michigan with out dropping by Warren (with 134.056 residents). At present Swimia is showing you all the Pool in Warren and the closest pools located in its vicinity. Let us let you know a secret to switch off even though you are in Grand Rapids: just opt for a Swimming Pool in Grand Rapids and plunge into the water! There's no more effective method. Swimming is really a superb idea to keep your body active during your visit to Sterling Heights (Michigan), or even if you are a local. Swimia helps you to find your closest Swimming Pool in Sterling Heights. 4035 Burton Street SE , Grand Rapids , MI , USA (Postal Code: 49546). Swimmers like you reported 25 meters, 5 lanes, Non-Chlorine Sanitized, Indoors. Unfortunately we do not have the email address of this Swimming Pool, but we can provide you with the phone number.